The dataset contains information on the statutory and plan-bid components of the regional and county Medicare Advantage (MA) benchmarks for the years 2017-2019. The patient population that chooses MA includes individuals with a wide variation in health and disease status. Most plans submit bids that are lower than the county benchmark – the maximum amount. If the bid is below the county benchmark, then the plan receives a share of the difference between the bid and the benchmark. The amount the plan receives is called the rebate, which must be used to provide extra benefits to enrollees, and varies by the plan’s star rating. Five-star plans will have 5 percent added to their benchmark in County. The plan then receives the percent of the difference between the plan bid and the new, bonus-adjusted benchmark. The Centers for Medicare and Medicaid Services (CMS) pays MA plans on a per enrollee capitated basis. 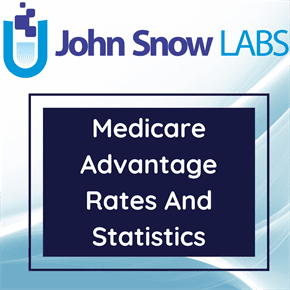 Medicare Advantage (MA) benchmark base rates are determined for each county and then are risk adjusted for each enrollee by CMS to account for the cost differences associated with various diseases and demographic factors. In other words, CMS modifies the payments to MA plans to reflect the health of each beneficiary. The additional amount the plan receives in rebates, as a result of the health reform law and the demonstration, is the bonus payment. For a 3-star plan, 3 percent added to their benchmark in County X. The rebate for a 3-star plan will have lesser percent of the difference between the plan bid than 5 star plans. As a result, 3- star plans receive smaller bonus payments per enrollee than higher rated plans in the same county. CMS determines the benchmark payment rate. CMS determines risk scores to predict cost of care for beneficiary. Benchmark rate is adjusted for beneficiary risk score. Payments to MA plans are reduced each year by the coding intensity adjustment. The amount is determined at the discretion of CMS.